I got married a bit later than most in my life, at the ripe age of 29 years. With that, many of my friends had the wisdom of several years of matrimony to share with me before I embarked on the journey myself. They also had some very practical advice for navigating the wedding planning process. One of the best things they were able to offer were little moments of, “Hey, I’ve been there. You’ll need X or Y to help with that.” These tips were always so welcome! And they started early—with engagement. Just weeks after my engagement, a sweet friend gifted me two very thoughtful (and practical) celebratory gifts. I still use both to this day! These little remembrances are a great way to joyfully share in the news of a friend’s engagement and offer a small help in navigating all that is to come. Here a few of my favorite gifts for the newly-engaged. This one may be a bit unfamiliar to some, but this is one of the gifts I referenced above, and I absolutely treasure it. Old china sets used to come complete with small dishes for each place setting to hold individual portions of salt. You can often find a beautiful selection of these pieces at an antique store or on ebay or etsy. In addition to being diminutive and delicate, they are perfect for storing your ring when you need to slip it off temporarily. I now keep one in the kitchen for when I’m washing dishes or kneading dough, and on my bedroom dresser for when I’m applying lotion. I didn’t have a lot of nice jewelry before I received my engagement ring (read: Target statement necklaces were among my finer pieces) so I was pretty unfamiliar with the rules of jewelry upkeep. I was so grateful to receive a ring cleaning solution (complete with a tiny brush) for maintaining the sparkle on my stone during and after engagement. It was also super helpful to know that most jewelry shops will offer a free ring shine, as well. 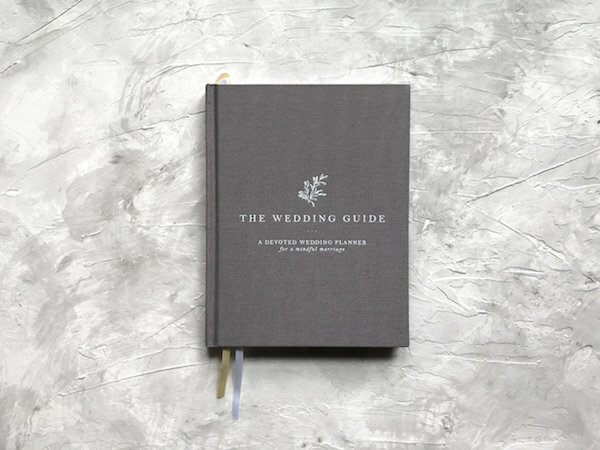 There are, no doubt, a million options out there for wedding planning resources, but The Wedding Guide made by The Little Blue Chair in Louisiana is a beautiful linen-bound book that I’d certainly have jumped at the chance to use during my engagement had it been available. Not only is the format simple and clean, it includes some really thoughtful prompts for prayer and thoughtfulness throughout the process. 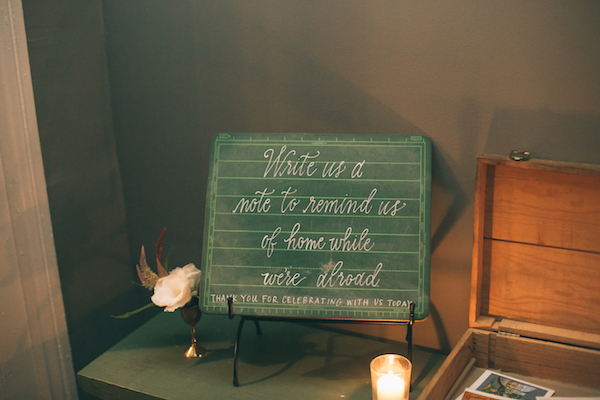 This would make a great congrats gift to ease someone into the to-dos of planning a wedding. I’m all about some fancy skincare products these days, and bath bombs and face masks are high on my list of treats. There is something so indulgent and restful about setting aside an evening for a little me-time with good-smelling lotions and creams. Giving a friend the gift of some ways to unwind in a busy time of life is the perfect excuse to slow down and enjoy the season. This jar of eucalyptus salts is a great choice. Who wouldn’t get excited to receive a little customizable candy-gram? I love the idea of sending one of these little mix-and-match fillable Bento boxes. I’m always a bit more apt to tackle hard things (ie: gathering addresses or nailing down a table plan) when I have a sweet treat to ease the overwhelm. 6. A set of custom notecards. 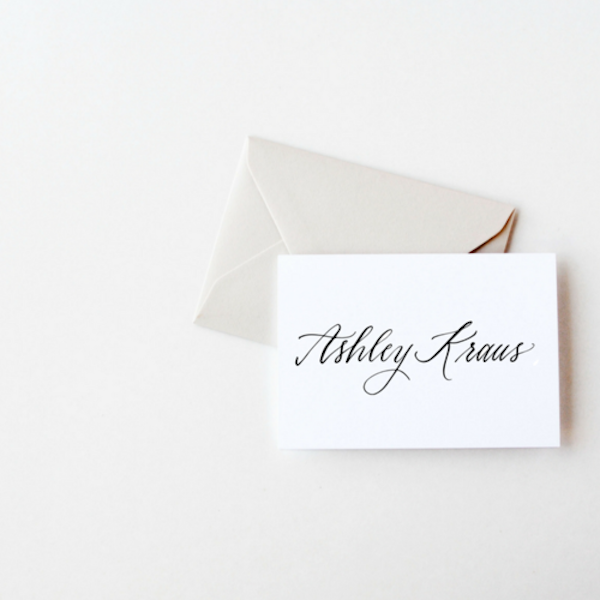 Brides-to-be have a lot of gratitude to express, and a set of personalized notecards are a great thing to have-on-hand for after showers and the wedding. Get ready for a whole lotta links. 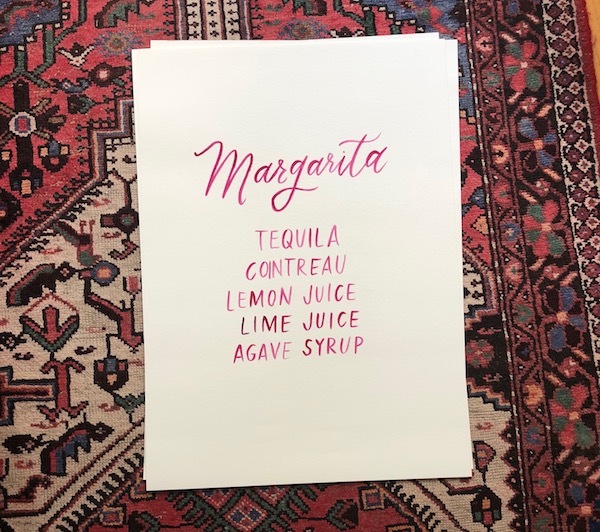 I've written quite a bit about the wedding paper process over the last couple of years, and I find myself often pointing brides in the direction of the resources that I've compiled. 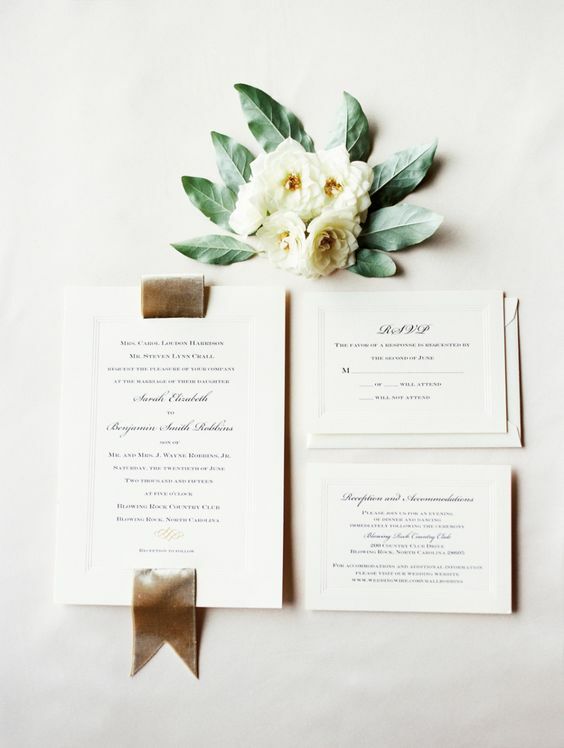 Don't know how to word your wedding invitations? I've written out a few of my favorite options. Want to go for vintage stamps, but aren't sure where to begin? I've written a little 101. Want to figure out more ways to use your gorgeous custom monogram wedding wax seal? I'm all over it. 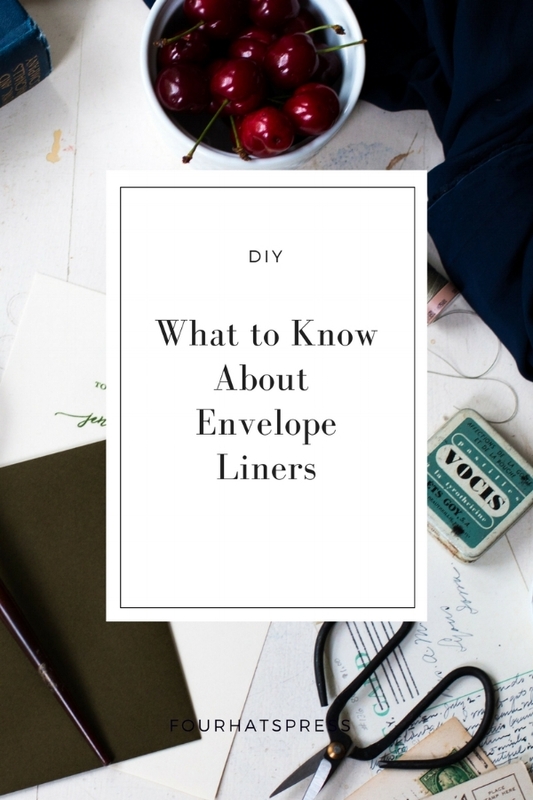 If you're getting married this year, take a look through the following articles and learn a thing or two about how to craft, embellish, and time your wedding-related correspondence. As always, I'm here to answer whatever question you might have as you navigate the planning process! Winter weddings are well underway though most of the country has endured below-freezing temps for weeks now. For some parts of the country, the wedding season may seem limited to spring, summer, and fall, but an indoor winter wedding can be an ultra-cozy option for those willing to brave the cold and think creatively about how to create a comfortable and inviting atmosphere for their guests. Below are my top ten favorite ways to bring the outdoors in and really make a winter wedding feel like a warm fireside your guest won't want to leave. Consider incorporating citrus (whole oranges, dried slices, lemons, etc) into both your paper design and your decor and tablescape. What a great way to add some bright color to a more muted color palette. There's no such thing as too many candles. Winter weddings are all about the hygge, so don't be afraid to really turn up the romance with drippy (or dripless, for the sake of your table cloths) taper candles, votives, and pillars. There's nothing like the warm glow of a flame to add ambiance to your gathering. 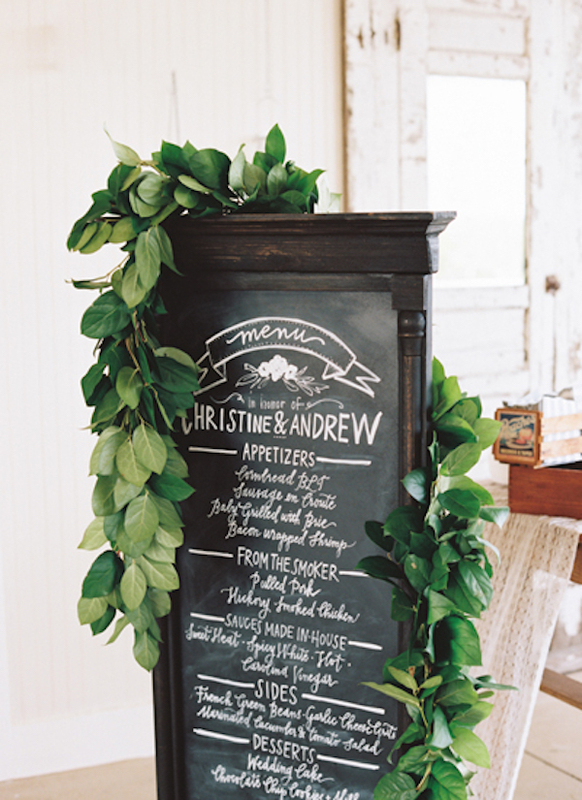 There's a classy way to do woodland/woods, and the above wedding nailed it. (I was just so fortunate to be able to attend this in person for my friend, Jane, and her vision for this day was unparalleled.) Just channel Ralph Lauren decorating a hunting lodge and you'll nail it, too. Say your vows in front of a roaring fire and not a single heart in the room will remain cold to the love and beauty they will witness. This December wedding was the perfect opportunity to subtly play up some Christmas details like with these gold jingle bells for the couple's send off. Ah, a table peppered with holly and vintage peppermint sticks. Though Christmas is past, the thought of it rekindles the festive. Envelope liners are a great place to bring in pattern. I've always been a big plaid fan, and a winter wedding just seems like the perfect home for it. Velvet just oozes with elegance, and adding it to the details of a winter wedding just seems right. Use velvet ribbon in a paper suite, as a napkin holder, to tie up favors. Or consider a velvet table runner to set the stage for your refined style. I've posted this before, but I just can't get over how thoughtful it is to provide blankets to keep your guests warm during the ceremony (either indoors or out). I love the idea of tying them up beautifully with a ribbon and tag, encouraging your guests to settle in and be comfortable. Classic navy is a perfect choice for the darkest season. A little warmer than black, but still oh-so-tasteful. I love the above paper suite, using it both as a liner and a custom stamp option. Evergreen trees are quintessential symbols of winter. Use gathered pinecones as place card holders or table decor. They're like nature's confetti this time of year, so also budget-friendly.